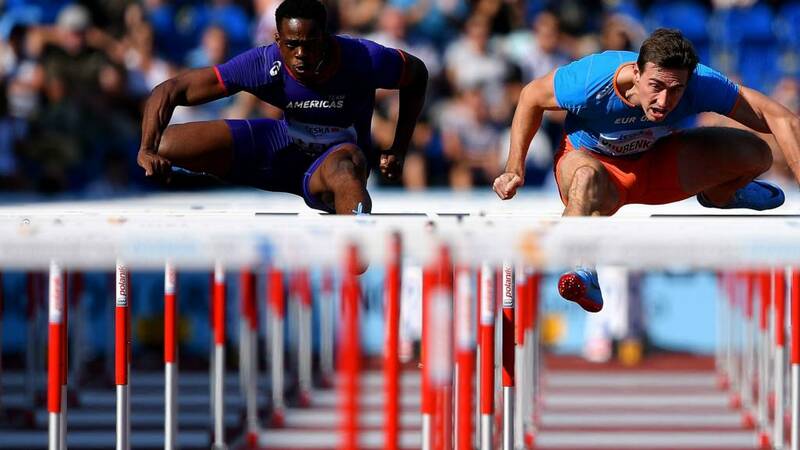 Watch live coverage of the IAAF Continental Cup on BBC Red Button, online and connected TVs. All times BST. Sunday, 9 September: 13:30-17:15 - BBC Sport online & connected TV. What is the IAAF Continental Cup? The international team event is in its third year since replacing the IAAF World Cup. In its predecessor, countries that won their regional team competition went on to represent the region. For the Continental Cup, athletes who win titles at their regional games, such as the recent European Championships in Berlin, are picked to represent one of four teams - Africa, the Americas, Asia-Pacific and Europe. Sprinter Dina Asher-Smith heads the British contingent representing Europe. Each region has two representatives in each event except for relays, when they field one team each. The team finishing the two-day competition with the most points is the winner. Every British athlete picked to represent Europe at the IAAF Continental Cup will have been inspired by a coach, mentor or club official early in their career. Athletic clubs rely on such volunteers and are always looking for people to coach, officiate or help out on club nights across a range of roles - check out UK Athletics. So whether you want to help inspire children, get adults running or encourage someone to take up javelin, there will be a role for you and the uCoach can help to get you started. Sport Coach UK can also steer you in the right direction. To find out about event or club volunteering opportunities across Britain, JoinInUK can help you find a club that needs some help. You might also like to try Volunteer Scotland or Welsh Athletics and, for Northern Ireland, visit Athletics NI and Volunteer Now.